Mr Aslam now offers a minimally invasive, tissue sparing, total hip replacement using a new technique. By not cutting any muscles around the hip and working through a small ‘window’ in the tissues, the hip can be replaced with minimal soft tissue damage. This can provide faster recovery, shorter hospital stay and rapid return to full function. With the new minimally invasive Hip Replacement surgery there is no surgical dislocation of the hip. By not surgically dislocating the hip, there is less trauma to the surrounding muscles and tendons and no muscles are cut during surgery. 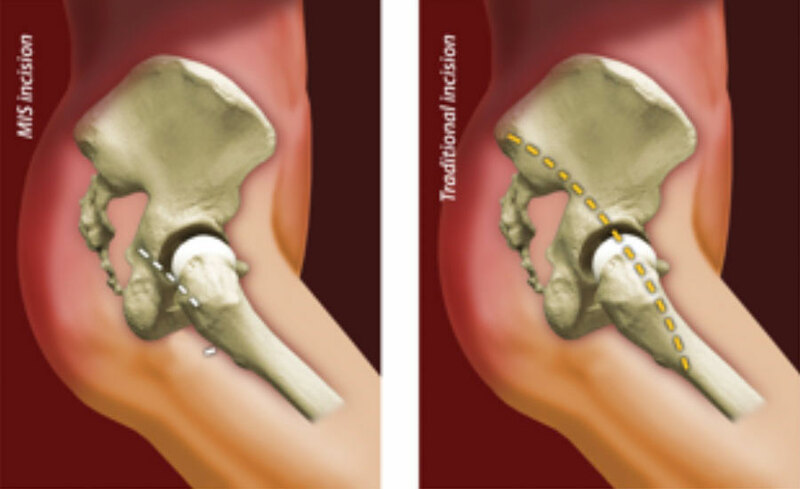 With this technique, the implant is built inside the body, so the hip is not twisted into unnatural positions. 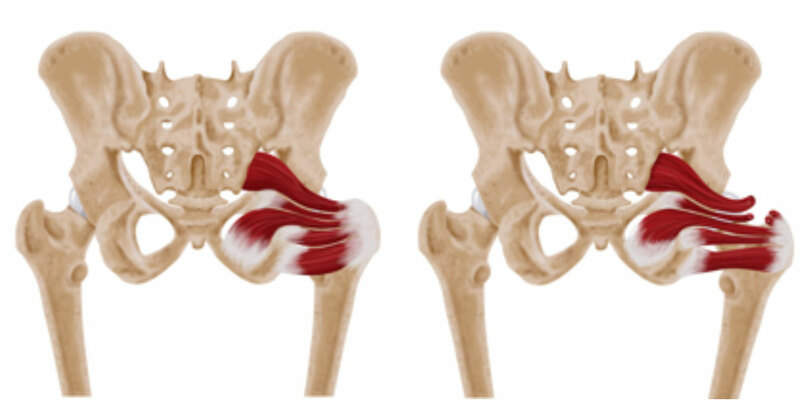 This leaves more tissue intact, specifically the short external rotator tendons and gluteus medius muscle. These muscles are normally responsible for preventing dislocation. In a muscle sparing enhanced recovery hip replacement procedure (left image), key muscles are parted, and not resected (cut) always. This enables the patient to mobilise swiftly after surgery, possibly returning to normal daily living activities, without restrictions, more quickly than in a traditional total hip replacement, where the muscles are resected (right image). Mr Aslam said “A new minimally invasive, tissue sparing total hip replacement. By not cutting any muscles around the hip and working through a small ‘window’ in the tissues, the hip can be replaced with minimal soft tissue damage. This leads to faster recovery, shorter hospital stay and long-term return to full function”. 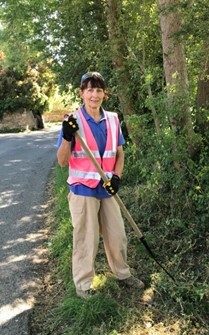 A pioneering hip replacement operation that avoids damaging many of the nerves and muscles that would be affected by conventional surgery, has been praised by Chipping Camden publisher Rachel-Claire Cunynghame. Rachel was actually out in the garden doing some ‘light weeding’ just days after the operation at Spire South Bank Hospital in Worcester. The operation, carried out by Consultant Orthopaedic Surgeon Mr Nadim Aslam, avoids the dislocation of the hip, allowing the replacement parts to be fitted through a tiny incision – at 8cms much smaller than normal. “The scar is absolutely nothing at all when you consider what kind of operation I went through,” explained Rachel. “By not cutting any muscles around the hip and working through a small ‘window’ in the tissues, the hip can be replaced with minimal soft tissue damage which leads to faster recovery, shorter hospital stay and long-term return to full function. The muscle-sparing, minimally-invasive technique is now being performed by a steadily growing number of surgeons throughout Europe. “It also means they need fewer painkillers after the operation and are usually able to return to work and to driving much earlier than patients receiving conventional hip operations,” said Mr Aslam.